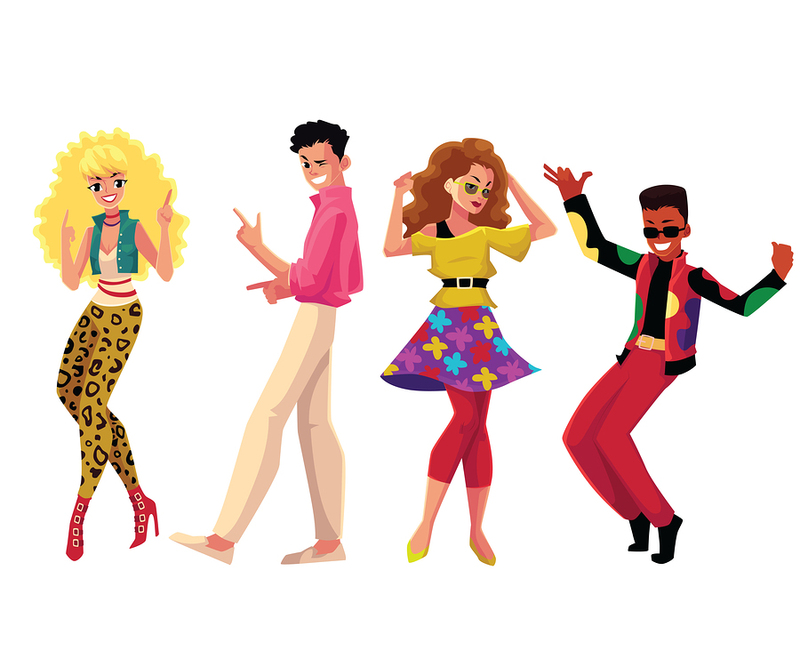 Dance Your Way Back to the 1980s at St. Bernard’s December 31 | Joe Hayden Real Estate Team - Your Real Estate Experts! Do something a little different this New Year’s Eve and travel through time. The New Year’s Eve Dance at St. Bernard’s will take you Back to the ‘80s. The music, the decorations and even the clothing will be 1980s-themed. Don’t worry, it’s totally optional if you want to dress to fit the theme. But if you do, don’t forget the big hair! Live music will be provided, and you will get 2 drink tickets. Appetizers will be served, and at midnight the coffee and doughnuts will make their appearance. The dance lasts from 7 pm to 1 am at St. Bernard’s on 7500 Tangelo Drive. Tickets cost $40 at the door and $30 if you buy ahead of time. Dress up in your best 1980s duds or put on the semi-formal wear of your choice, and dance the night away. Ring in the new year while honoring a great decade. St. Bernard’s is just a few blocks outside of Fern Creek, a perfect neighborhood for any new start. Fern Creek is a sprawling neighborhood full of beautiful family homes. You'll start seeing homes you'd like to live in right away in this neighborhood. New homes are still being built here, but the timeless architecture of the neighborhood makes it hard to tell the new homes apart from the ones that have stood here for years. High-end features are everywhere in the homes here. Hardwood floors, granite counters, stainless steel, little luxuries like this are all over Fern Creek. The neighborhood is bordered on one side by Bardstown Road, so there's plenty of places to grab a bite to eat, do a bit of shopping or find some way to pass the time. Fern Creek Traditional High School, the Fern Creek Park and several athletic fields and community gathering places are within the boundaries of Fern Creek. Before you go back to the 1980s, go to Fern Creek this December to see the real estate here, and who knows where 2018 will take you?